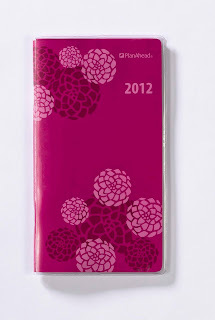 I was recently sent two See It Bigger Planners by PlanAhead for my review. I couldn't be happier with the quality and convenience of these products! One is a really cute pocket calendar. The pocket planner is the perfect size for your handbag. It has all kinds of easy to use resources packed into it's compact size. 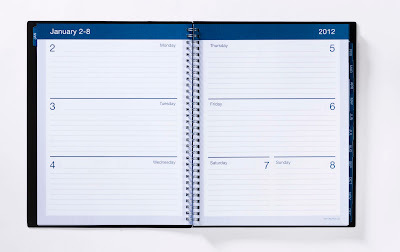 The big print personal information page and the calendar pages have ample space for writing. It includes a two year reference calendar, and a listing of important holidays. I love that the holiday list includes the day of the week that the holiday falls on too! 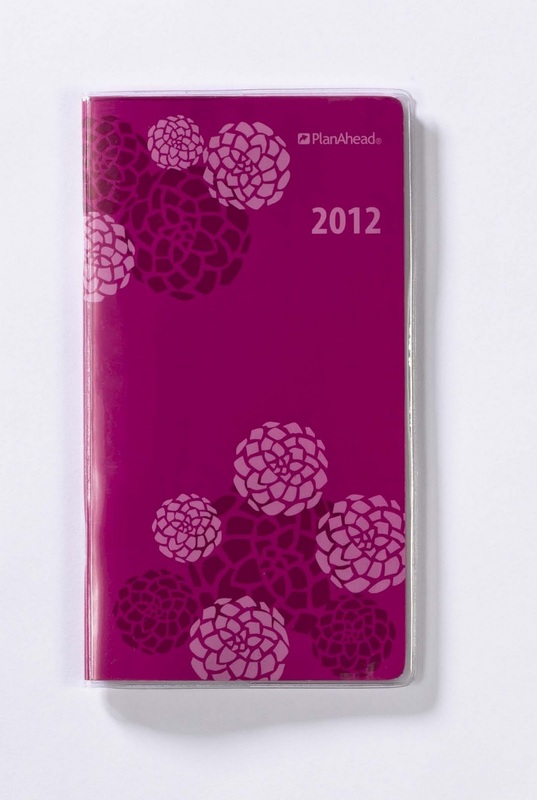 The 2012 Weekly/Monthly Planner is a very handsome and quality made planner. 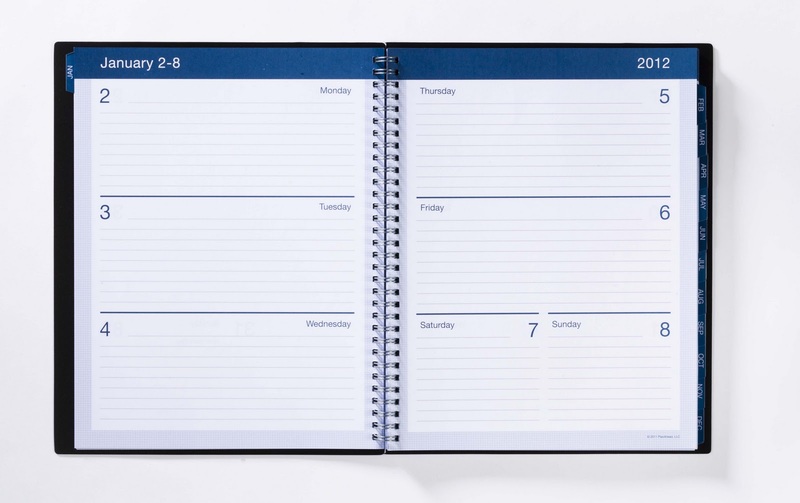 The cover is very durable and the monthly tabs have been laminated for durability too. They are available in blue, black, and in a berry floral pattern. It too has large print personal information, important contacts, personal contacts, two year calendars at a glance, the holiday schedule, and upcoming events pages. I love that the calendar pages have ample space for writing in the needed information. You could easily write in a name, time, address, phone number, and more. I also LOVE the extra space and pages allowed for notes throughout the planner. I have three generations living in my home and these See it Bigger planners would work well for the twenty-something, the fifty-somethings, and the seventy-something who live here. They would be great for busy moms and business professionals too. These planners would make a great Christmas gift or a great addition to your home office for the new year! For more details check out www.planaheadnow.com . Please leave a comment on this post for a chance to win your very own pocket planner and the large See it Bigger 2012 Planner. It is a great prize package. The winner will be randomly chosen on December 27th. Please be sure that I have a way to contact you. Good Luck! I would love to win this! Thanks for the give away! These planners look fantastic! With mine, my husband, our children, & even our dogs (yes, our dogs! lol) activities/appointments/etc I find I am always running out of room in my tiny calendar. I color coordinate everyone by name, but the next step has to be getting a bigger calendar! Have to check this site out. I had 3 generations in my home years ago. It's a wonderful bonding time for all. I could use this planner for all I have going on! This looks like a great little planner! Arlene C. Is our winner. Congratulations!